The holy city of Ashur, the birth place of the Assyrian nation, and the first capital of Assyria is on the brink of extinction. This city along with 100 other Assyrian archaeological sites will be inundated (flooded with water) once the Makhoul dam is erected. Such an action will wipe out the whole Assyrian civilization from the face of this planet. In order to relate to how Assyrians feel about their first capital. The city of Ashur to Assyrians is like Jerusalem to the Jewish people, like the Vatican to Catholic Christians, and like Washington DC to Americans. Would Italians accept the inundation of Rome? Would Greeks accept the inundation of Athens? Would Americans accept the inundation of Washington DC? The engineering firm and all its employees that are designing the dam of Makhoul, are committing a crime against humanity! They are participating in the destruction of a whole culture, a culture that marks the birth of human civilization, in what is known as the "Cradle of Civilization". They are destroying an intellectual property that belongs to all mankind. 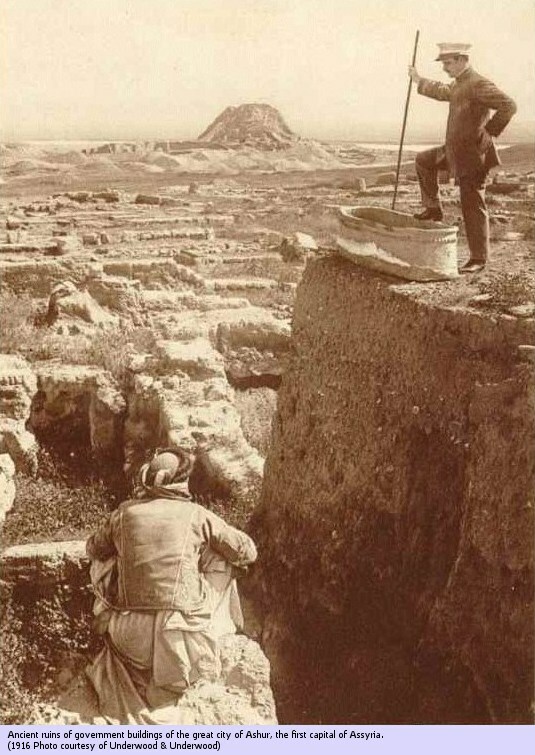 Assyrian culture should never be the price paid for water shortage due to dams built upstream. Assyrians would never accept the inundation of Ashur! The cursed Makoul Dam is doomed!